The heritage listed former factory is bounded by Lawson Street, Abercrombie Street, Ivy Street, Wilson Street and Ivy Lane, in the inner city suburb of Darlington. 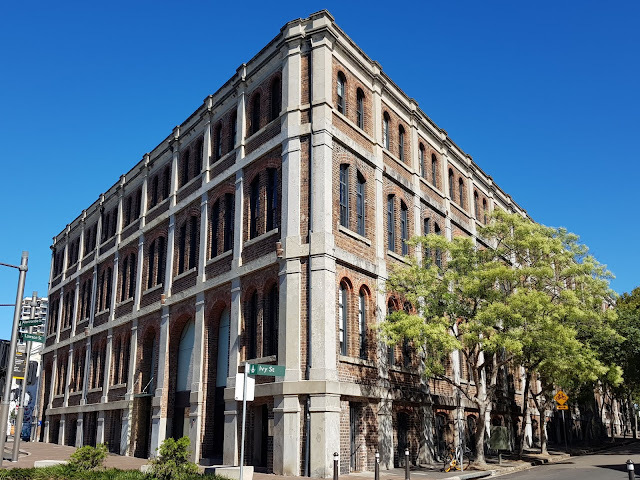 It was built in 1883 in the Federation style as a boot factory for McMurtrie, Kellermann & Co and later converted to a gas meter manufacturing works for Parkinson and Cowan, from the 1920s. In 1964, the building was purchased by Nedor Holdings for manufacturing handbags. During the 1990s, the building was occupied by the Australia Council. In 2002 it was redeveloped for use as residential apartments and offices and is now known as The Foundry. It's definitely quite a grand impressive building. Beautiful building , Thanks for the post. What a history! I like reading this...the fact it was put to good use instead of being abandoned or torn down (like USA does). Amazing how many lives a building can have. Hello, it is an impressive building. Wishing you a great day, have a happy week ahead! ...built in an era when even a factory building had a sense of style. Thank Jim for sharing. They don't make factories like that any more!